Horse background: Rode and showed English discipline through High School;. Currently owns two miniture horses and competes in horse driving trials and pleasure driving shows. Education background: Certified in Special Educaton and taught special education elementary school in Mesquite and Midland. Also taught high school level special education in Midland. 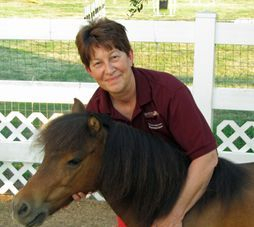 Therapeutic Horsemanship background: Started as a volunteer at a center in Houston in 1988. Over the years has served as Client Coordinator, Board Member, Program Director and Executive Director. Guided two centers through multiple successful center accreditations and re-accreditations. Member of the PATH Faculty Development Task Force. Born and raised in Oklahoma, Tracy first started riding horses at four years of age and grew up riding and showing in 4-H. 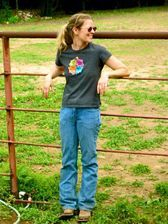 In 1995, when she moved to Texas, she had the privilege of working for Terri Barnes, one of the first physical therapists in the US to study Hippotherapy in Germany, thus beginning Tracy's career in the therapeutic riding industry. By 1997, Tracy earned Registered Instructor status through NARHA (now know as PATH Int'l.). Since then she has been a therapeutic riding instructor and has become a PATH Site Visitor, which allows her to conduct Accreditation Site Visits at therapeutic riding programs for PATH Int'l. Currently Tracy resides in Denton, Texas with her husband, their four daughters, three dogs and a Paint horse. Born and raised in Belgium Eva De Meyer Anderson didn’t have a horse but regularly attended pony and horse camps when she was young. After graduating as an Occupational Therapist, Eva wanted to go see the world. She went to Australia with an association called WEP (World Education Program). They offered a program called “Australian Cowboy” which gave her the opportunity to stay on a ranch, be part of the family and ride their horses. This is where Eva met her husband Mal, who had a dairy farm and about 24 Quarter Horses. In 2011 they decided to sell the dairy farm and move to the USA to pursue their ‘horsey’ dream. They, along with 2 dogs, a cat and 2 horses purchased the old Babcock Ranch in Gainesville TX. When they settled here, Eva found out that therapeutic riding is very popular in the U.S. She thought it would be a great way to have a combination between her background as an OT and the horse world. She became a PATH Intl. certified instructor in May. At the start of September she attended a hippotherapy course. She is a real asset to Team B2B. Her sense of humor and great teaching style has made her popular with our riders. Trisha was born and raised in Dallas. She is a recent graduate of UNT in Denton with a Bachelors Degree in Biology. She became interested in therapeutic riding because her trainer at the time had a niece with disabilities that came out to see the horses. The trainer's niece was so scared to even touch the horse because he was so much bigger than her. After an hour of working with her they had her laying on the horses' back and sitting on him. Realizing that horses can make a difference in people with disabilities lives, Trisha found Born2Be two miles from her current stable. Four years ago she began volunteering with Born2Be. The more she volunteered, the more involved she wanted to be. In Nov. 2015 she became a P.A.T.H. Certified Instructor. Trisha owns two horses a nine year Gypsy Vanner named Magic and an eight year old Quarter Horse named Stewart. In addition to teaching classes, she is taking weekly English riding lessons. Trisha currently lives in Frisco with her husband, Paul, and their 30 year old Blue Fronted Amazon Parrot Calvin. According to Trisha, "Paul is my rock, nothing I do would be possible without him". 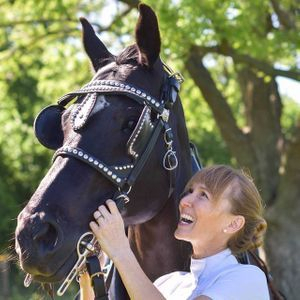 Jennifer is a Professional Association of Therapeutic Horsemanship (PATH) certified instructor for riding and driving, a Certified Horsemanship Association (CHA) Equine Facilities Management Level 4, and a certified barefoot trimmer. Jennifer has always enjoyed horses. She began driving horses at the age of 18 for city tours and has driven in Kansas City, Frisco, Dallas and Fort Worth. Jennifer began providing Equine Therapy in 2010 and is always amazed at the physical and cognitive improvements of riders. 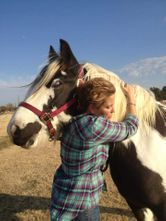 She enjoys bringing horses and humans together for healing.